Are you a city dweller but craves nature? Would you love to grow your own organic food but have no space? Do you wonder how to live a more holistic sustainable life connecting your body & mind to your true self? If your answer is YES to one of the above, then join us to Grow Some! our backyard urban farming and yoga workshop for holistic living enthusiasts. 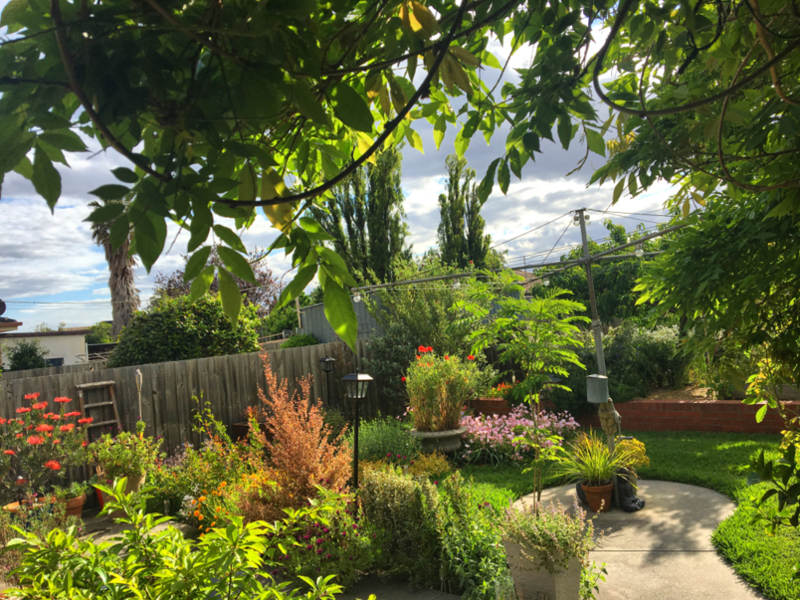 Gregory Lorenzutti, urban farmer expert and artist alongside Maud Léger, holistic wellness advocate and yoga facilitator invite you to a special yoga & gardening outdoors experience in Gregory's suburban oasis. Maud will guide you through an embodied yoga flow in the luscious garden to prepare the body-mind-heart to the learning to follow in the garden. We will start exploring the senses, using the garden as a stimulus for mindfulness, before exploring movement and the depth of breath. The session will end with a visualisation of your future, more aligned with nature. Gregory will take you through a journey in his suburban organic productive garden where he grows 80% of his fresh produce. In this workshop, he will share and demonstrate useful techniques and strategies to grow your own food in a vast array of spaces and conditions. Includes produce picking and tasting of wholesome fresh fruits & veg straight from the earth! Please BYO Mat, or let us know if you need one!